Get a Kern County Traffic Ticket? You Can Beat It! Did You Get a Ticket in Kern County, California? You can fight Kern traffic tickets by getting them dismissed much easier than you may think. In Kern, California, drivers are allowed to contest a traffic ticket using a Trial by Written Declaration. This is best way to fight a traffic ticket without going to an Kern courthouse or hiring an expensive Kern traffic ticket lawyer. We have found this to be the best way to contest a California traffic ticket, period. This option is available to every driver who receives a traffic ticket in Kern, California. In fact, if you turn over your traffic ticket you will see that a Trial by Written Declaration is listed right on the back of your ticket as one way to fight it. This process has been around since 1978 to avoid having to pay traffic ticket fines. TicketBust has been helping California drivers prepare Trial by Written Declaration’s for over 14 years. In fact, tens of thousands of vehicle tickets in California have been contested using our system. We are the original traffic ticket fighter and the TicketBust system has been developed specifically to prepare all your documents properly based on how you answer a few questions. This way you can fight your ticket, knowing you have maximized your chances of having the court dismiss your Kern County traffic ticket. TicketBust service will prepare your full defense package for you, which includes your Trial by Written Declaration and all the defense documents required by Kern traffic court. Fill out the yellow form to fight your Kern traffic ticket now! Did you know that you aren’t allowed to pass the white limit line when you are stopped at an intersection? From our experience, this can be a common ticket issued in the county of Kern, so be on the lookout and stay behind that solid white line. If you find yourself having received a traffic ticket in Kern, give us a call or fill out our form to see how we can help! 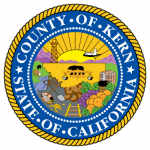 The area now known as Kern County was first claimed by the Spanish in 1769. In 1845 and 1846 the second expedition lead by John C. Fremont passed through the area. Upon reaching the Kern River, the river was named after Edward Kern, the topographer of the expedition party, later to be the name of the county. The land was dominated by mining in the mountains and the desert and spurred small communities to sprout. In 1855, the California legislature took the southeastern territory of Tulare County in an attempt to create Buena Vista County, but was unsuccessful. Instead, in 1866, the would-be county merged with additions from Los Angeles and San Bernardino Counties creating Kern County. The county encompasses a total of 8,163 square miles and is the largest county by area in California (nearly the size of the state of New Hampshire). Within the county lines, over 44,000 active oil wells reside producing about 4 percent of the overall United States’ production. Severe air pollution causes poor visibility for the estimated 893,000 people who call Kern County home. Edwards Air Force Base is located in Kern County and is the home of the Air Force Test Center, Air Force Test Pilot School, and NASA’s Armstrong Flight Research Center. Along with the large amount of oil production, Kern County contains nearly 25 percent of California’s in-state renewable energy production, including hydro-electric power, solar power, and wind power. Kern is also notoed for its mineral wealth and is the home of the largest open pit mine in California, Boron, which mines borax.